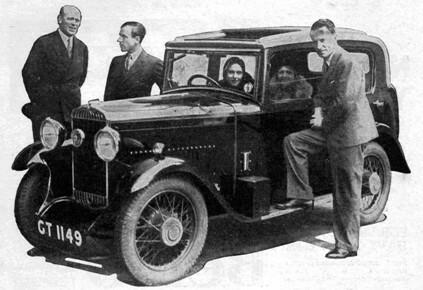 Scorpion – 1930 to 1932, 11.85 h.p. 1203cc 6-cylinder side valve engine with 3-speed gearbox. Triumph joined the trend to manufacture small capacity 6-cylinder cars with the Scorpion. The engine was of the same design as the Super Sevens but with 2 extra cylinders. It appears that it was not a very successful model as we estimate that only 600 Scorpions were produced. We have recorded 185 with 7 surviving with their original style bodywork. 5 body styles were available; Sports 2-Seater – £230, 2/4-Seater Tourer – £220, Tickford Sunshine Saloon – £237, Coachbuilt 2-Door Saloon – £237 10s, 4-Door Coachbuilt Saloon – £185. Twelve-Six – 1932 to 1933, 11.85 h.p. 1203cc 6-cylinder side valve engine with 3-speed gearbox. 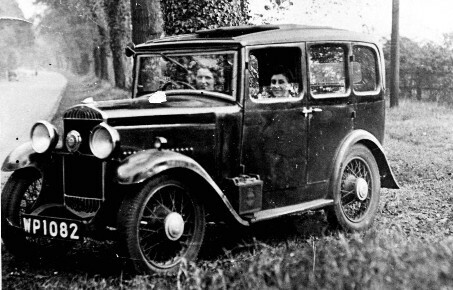 Mechanically the same as the Scorpion the Twelve-Six was only offered as a 4-Door 6-Light Coachbuilt Saloon at £198. We estimate that 500 were produced, which also suggested that was also not a very successful model. We have recorded 53 with 2 surviving, of which 1 retains its original style bodywork.